Blue Bunting. The bird was seen at Quinta Mazatlan. Indeed, birds have captured our hearts and minds for millennia, whether we’re enjoying the ducks in a local pond or chase after rare birds around the world. While bird watchers are particularly fond of these exquisite creatures, they are accessible to us all, often in our own yards. With that in mind, let’s go through Quinta Mazatlán’s list of Top 5 birds of 2017. Two of the birds are easy to pick; Green-breasted Mango and Blue Bunting. Both are not seen annually in the United States, but have been seen three or more times in the past 30 years. The Green-breasted Mango is the more unusual of the two, with the last U.S. record occurring in 2009 (total of 20 U.S. records), while Blue Bunting was seen in both 2016 and 2015 (total of 50 US records). They both helped attract hundreds of birders to Quinta Mazatlán, resulting in a big increase (66 percent) in bird observations and economic impact; birders came from across the country and had an economic impact of over $100,000 in a short two week time period in December. Although rarities get the majority of the attention, it’s our resident birds that are seen by most visitors and deserve appreciation. Beauty is subjective, but the following three birds were chosen to represent a variety of ways birds are beautiful. We’ll start out with the brightest; Green Jay. This magnificent corvid (a member of the crow and raven family) never fails to impress visitors to the Rio Grande Valley. 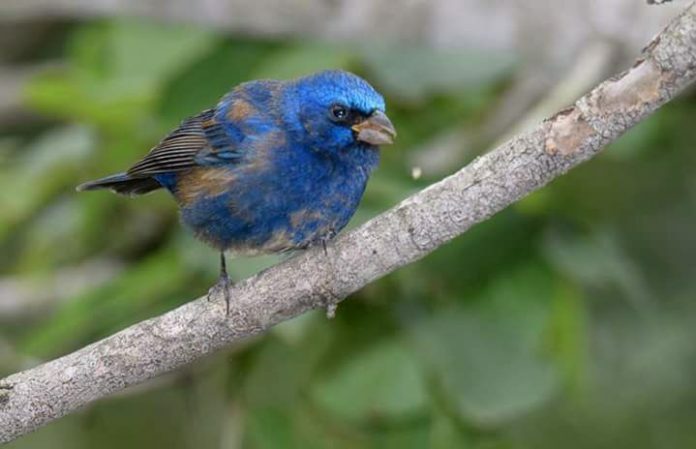 The combination of blue, black, green, and yellow is visually impressive, but also fairly unique among birds in the United States. The Green Jay is the official bird of the City of McAllen — a good choice for not only its beauty but also intelligence. While flashy birds like the Green Jay get an immediate response, the subtler beauty of a Common Pauraque takes a bit more time to appreciate… partially because the bird is so hard to spot. However, when the eye finally picks out the delicate gold and black feathers amidst the wash of soft browns and grays, one truly comes to appreciate this camouflaged masterpiece. There are hundreds of more candidates for the last spot, but we’ll finish the list with the Clay-colored Thrush. This bird sports mostly brown and tan plumage, but it’s the song that makes this bird stand out; its melodic whistles will ring out at dusk or dawn in woodlands and lush neighborhoods in the Valley. Visit www.quintamazatlan.com or call (956) 681-3370 for more info. John Brush is an urban ecologist at Quinta Mazatlán.